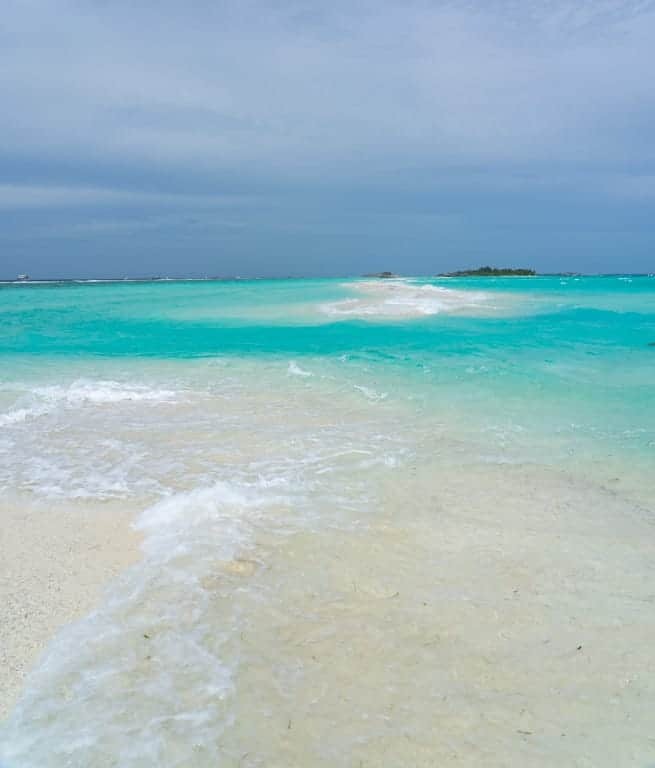 A journey to Dhigurah island in The Maldives, on a whim, turned out to be every bit the exciting adventure I hoped for. This green oasis in the middle of the Indian Ocean is famous for its whale sharks diving and snorkelling trips. We set out on a boat early in the morning, agog at everything our eyes fell upon – the pristine ocean, flying fish jumping out of the water, splashing waves and a refreshing breeze. Here, in the water, you feel how tiny you are. With clear visibility and teeming with a dazzling marine life you absolutely immerse into this dynamic, beautiful underwater world! 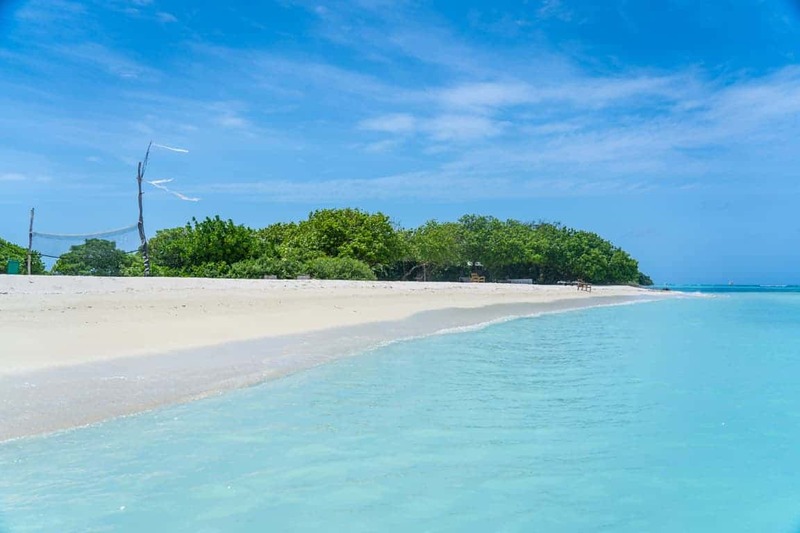 The island I decided to visit was Dhigurah, a small island about 110Km/68Miles south of the capital Male in the southern part of Ari Atoll group. 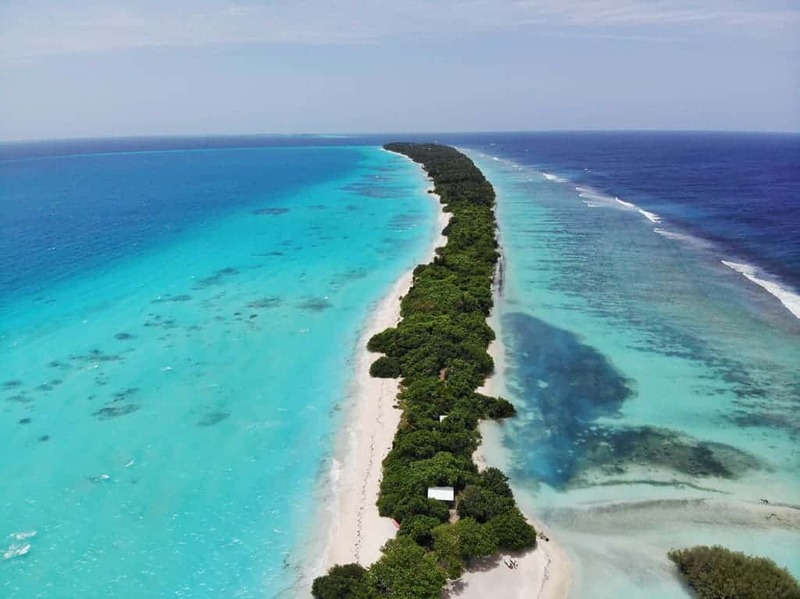 Dhigurah is only 3.6Km/2.2miles long, and only 300m/982 feet wide at the widest part of the Island, but most of the island is actually only about 100m/328feet wide across from side to side. At the southern tip of the island its get so narrow that only about 20m/65feet divide the east and west side. The island ends with a beautiful sandbank. 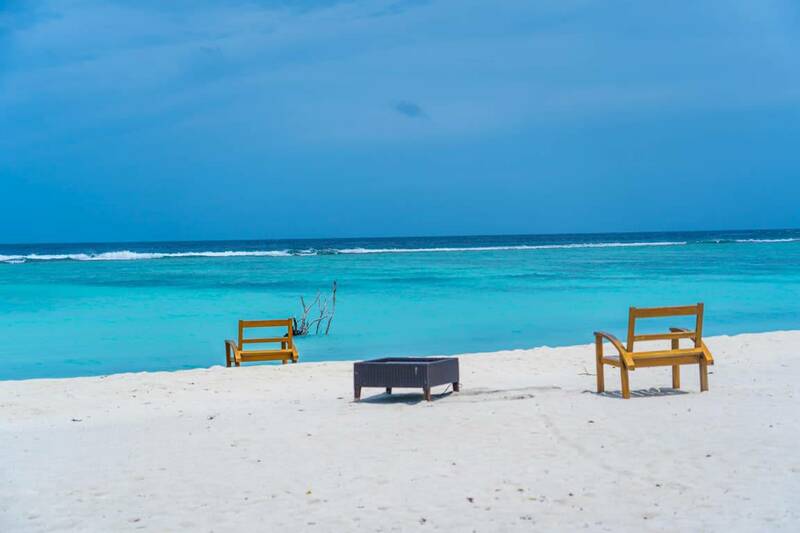 There´s an agreement between all the hotels and the locals on Dhigurah that on every Friday so is the southern tip of the island for locals to have picknick on their day off. So on Fridays is Sunbathing and walking around in swimwear not permitted. If you do is there a 100USD fine! There´s a sign inside every hotel about this local law. It looks like you can walk across to the neighbouring island with its 5*LUX on a private island, but there´s actually 50m/164feet wide channel, with a pretty strong current, and it´s way too deep to walk across. 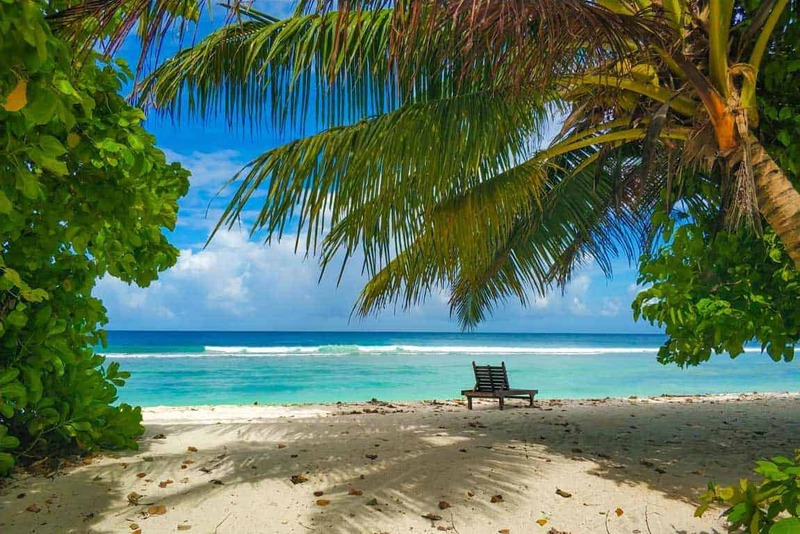 Be sure to check out this travel guide to the Maldives. The island is famous for being one of few places in the world where you can see Whale Sharks all year round (I didn´t get disappointed). I also saw turtles, black tip reef sharks and manta rays. Planning to go Diving in the Maldives? check out this post about how to get PADI Scuba diving Certified in the Maldives. 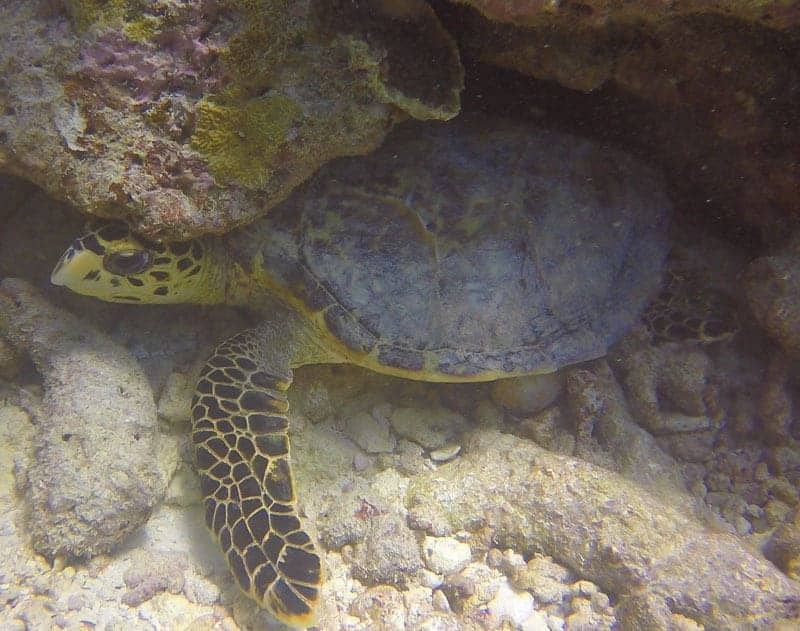 A Hawksbill turtle. 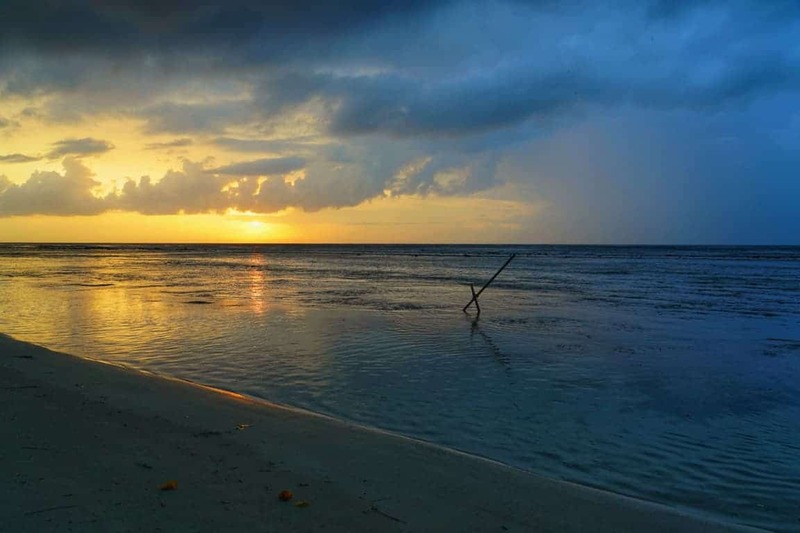 Five of the seven species of sea turtles can be found in the Maldives. 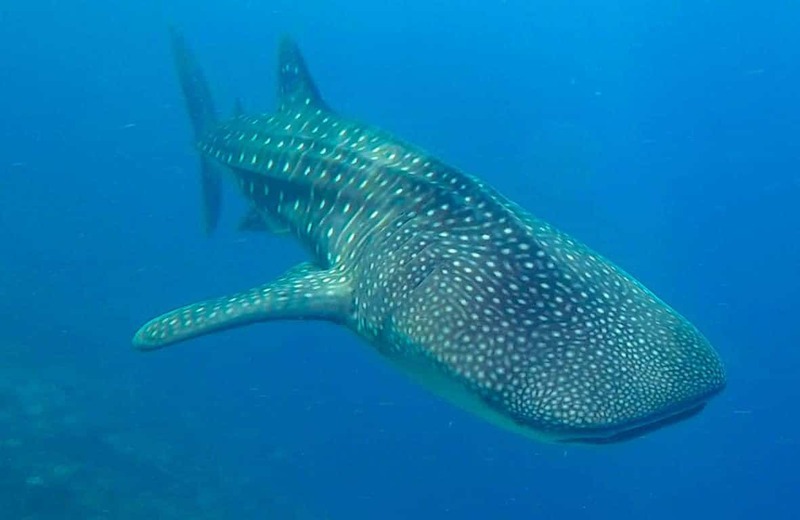 Everyone who visits Dhigurah come there for the underwater world, and especially the whale sharks. During my visit was there another 15 people staying at my guesthouse (10 of them where a group of British marine biology students). Everyone was out diving and snorkelling every day, so get ready for dives stories around the dinner table in the evening. Luckily the study group had their own boat so I never encountered the big group during the day. There are only two dive centres located on the island, I went with Island Divers, and I was pleased with them, very professional, Fluent English speaking staff. 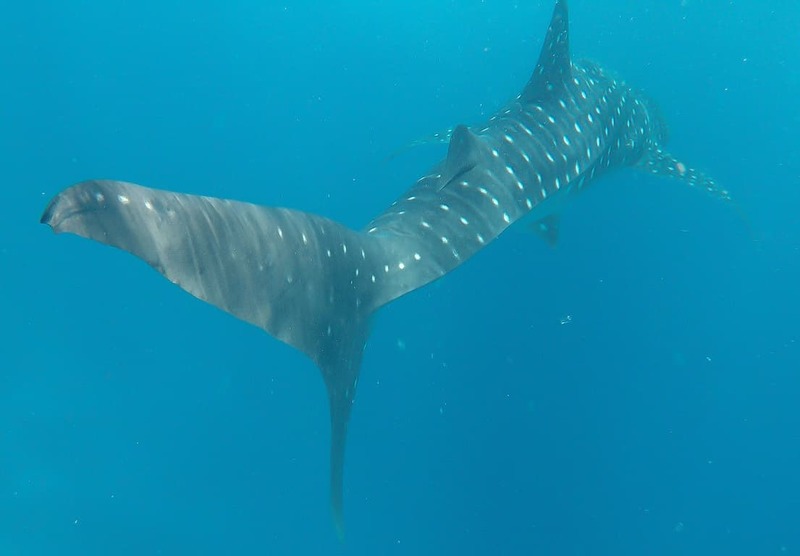 While going diving will your boat, be the only one at most dive sites, but when exploring the reef that is inhabited by Whale Sharks. You`ll be surrounded by other dive boats coming from all other islands and resorts in the area. It’s always the second dive in the morning. The Amazing staff at Island Divers looking for whale sharks. There is an agreement between the dive boats: if you notice a shark, tell everyone near you. So while our boat was the first one to spot the whale shark, did within a few minutes more than ten other boats show up, and even a few jet skis from the nearby resort. Dive boats shopping up for the whale shark. 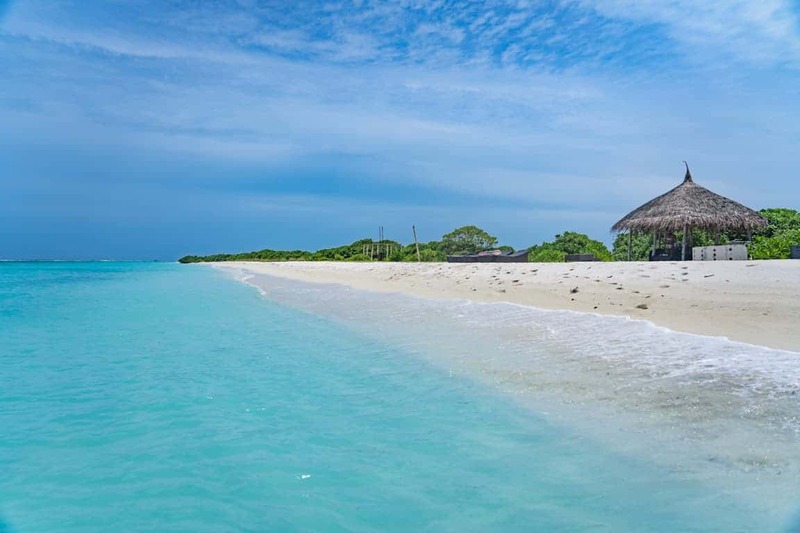 Except for the diving is it not much to do around Dhigurah, there a Bikini beach (only approved beaches are allowed for tourist to sunbath around the Maldives) 5miniutes walk from the guesthouses, and there´s only ONE small quiet village on the Island. In the village are there two small local restaurants, a few souvenir shops, and two small supermarkets and one air-con coffee shop at one of the newest hotels on the island. There´s even a small Gym now available. The Bikini beach fence, sunbathing is only allowed behind this fence. The main street through the village. If you want to visit the south tip of the island, where the most stunning stretch of beach in Digurah is located will you have to walk through a jungle for 30min or you can hire a bike for 5usd a day. While the walk is also pleasant is the walk further than you would expect. 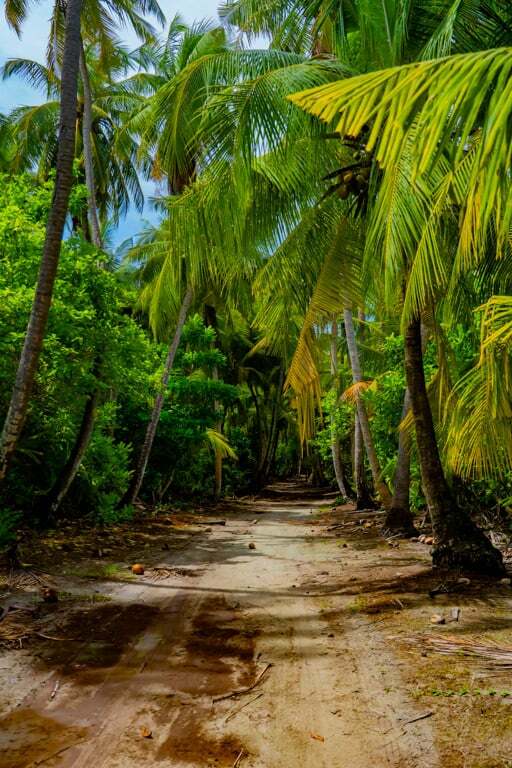 It´s the only road on Dhigurah, so don´t worry you won´t get lost. Unfortunately, Dhigurah Island and the Maldives do have a big garbage problem; you will pass a discosting amount of garbage on your way to the southern tip of the island. 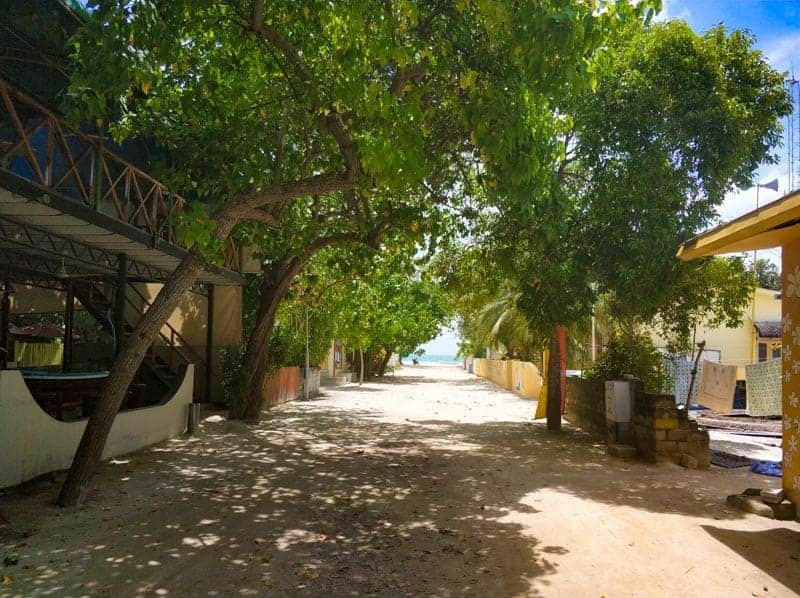 Some of the hostels on the Island offers a shuttle car to where to road ends, about halfway to the beach, with a bike can get to about 5min walk from the beach. The southern part of the island is in some way built up with two clean outdoor toilets, a few chairs, a small hut where you can hide from the sun. A volleyball net. There´s even a small hut with a generator, where hotel staff sometimes holds BBQ´s and put up some speakers. The Jungle road to the southern part of the island. 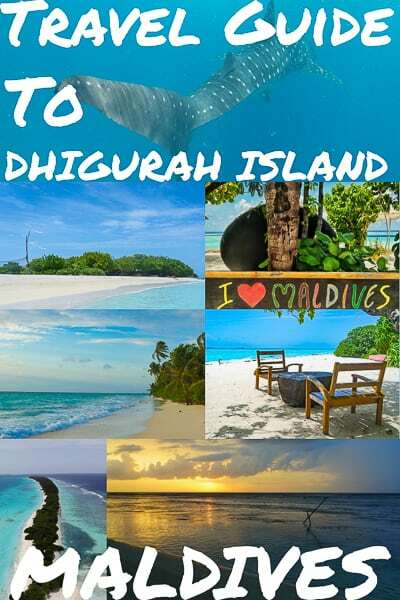 Additional Information About Dhigurah Island. There´s NO ATM on Dhigurah, so be sure to bring Cash, both USD and local Maldivian Rufiyaa is accepted everywhere. The hotel´s accepted bankcard payment. Despite other information online, there is a boat to and from Male to Dhigurah every day of the week, even on Fridays now. 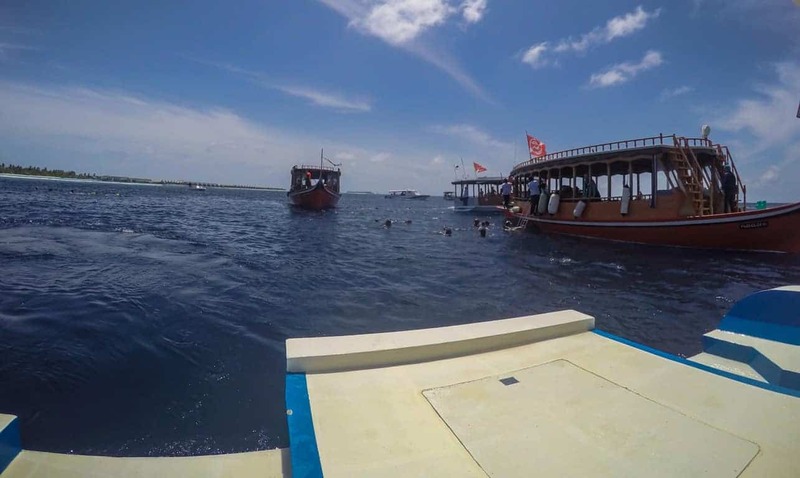 There are two types of boats to Dhigurah, speedboat and local ferry. The boat does a small stop in the neighbouring island of Dhangethi to drop off/pick up more people. Speedboat: Departures from Male 15.30 Everyday. Departures Dhigurah at 6.30 Every day. Price Is 60Usd+ tax. I’ll recommend you to book your place on the boat in advance through your hotel. It takes about 2hours, depending on the wheater, if the sea is rough is the trip slow and very unpleasant. I had this going to Dhigurah then the trip took more than 2 and half hour, bring seasick tablets, even the locals were feeling horrible. On the way back to Male was the sea calm and the trip took 1hour and 40min. 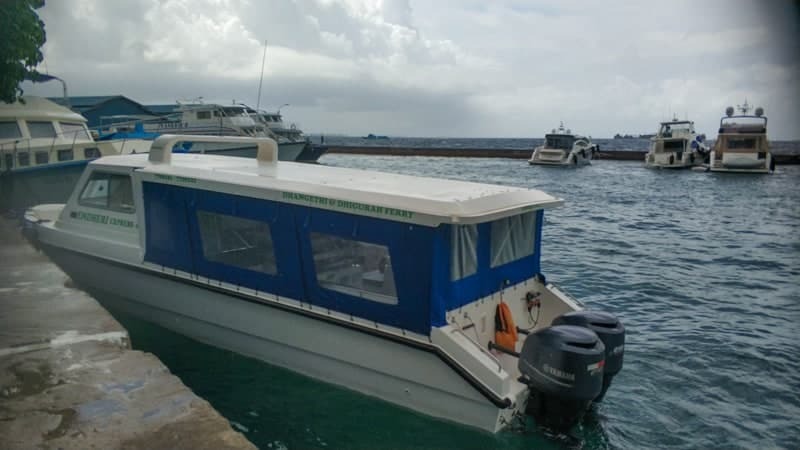 The local speed ferry between Male and Dhigurah. Local Ferry: 3 times a week each way. Saturday, Monday, Wednesday. At 8:30 from Male, costs 10$ per way per person. Duration of the trip is about 7-8 hrs. Sunday, Tuesday, Thursday. At 8:30 from Dhigurah, costs 10$ per way per person. Duration of the trips is about 7-8 hrs. Flight: There´s no airport at Dhigurah itself, and the closest one is at Maamigili (Villa International Airport, but only domestic flights) a shuttle boat from Dhigurah takes 25min (boat shuttle included in flight price from hotels) then 20min flight to Male, I got quoted 220 USD each way by my hotel. FlyMe is currently the only airline that flys to Maamigili. 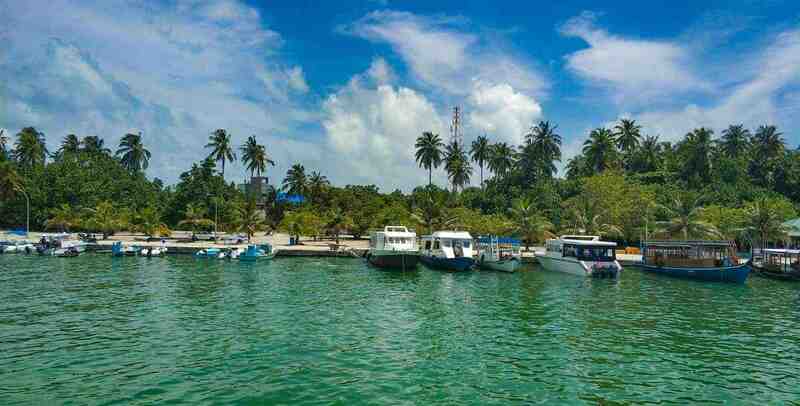 From Maamigili is there eight domestic destinations around the Maldives ; Male, Dharavandhoo, Fuvahmulah, Gan, Hanimaadhoo, Kaadedhdhoo, Kadhdhoo, Kooddoo. There are five flights a day between Male and Maamigili. Your hotel will pick you up at the harbour on arrival with one of about four cars on the island. The only other way to get around is by foot or rent a bicycle for 5usd a day from one of the hotels. There are currently 8 Accommodation options on Dhigurah, and at least one more currently being built, while a few of the current ones are expanding. So it´s just gone get more and more touristy here. 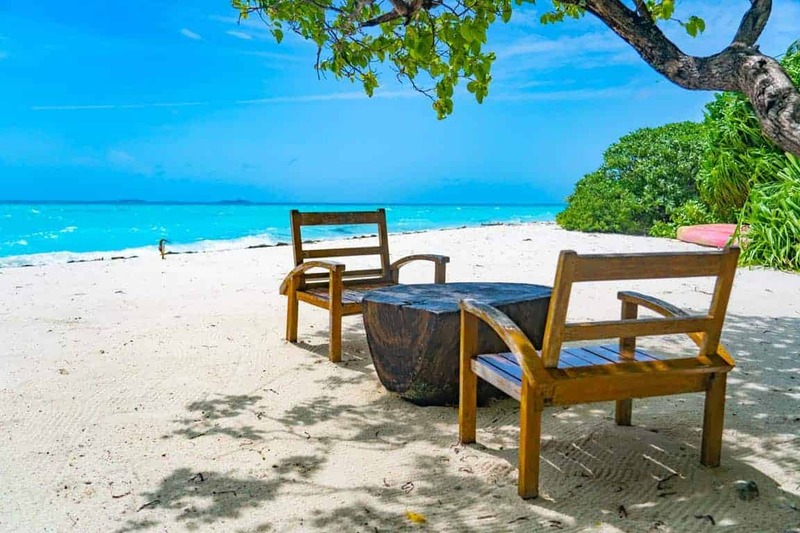 Accommodation on Dhigurah is not a very budget friendly island, so if you are on a low budget are the other islands in the area much cheaper options, they all offer whale shark trips. 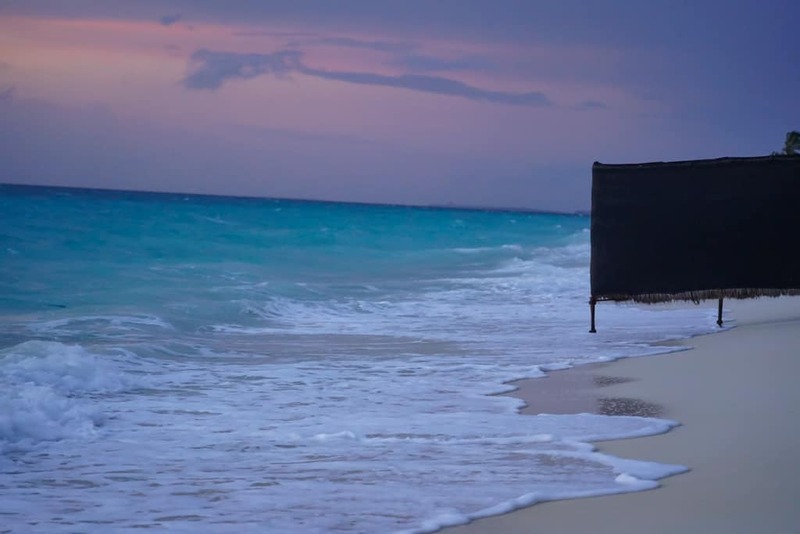 I stayed 5nights at TME Retreats Dhigurah, and I was pleased with them, rooms are big and cleaned every day, buffet breakfast included, and also a full board with all meals and dives included available. Also rooms with private swimming pool. I would stay here agian. Hello! Can you let me know which terminal the speedboat will be coming from in Male? We will be staying 1 night in Male and wanted to stay near the terminal so we will not miss the 3pm speedboat. Is it in Hulhumale Ferry Terminal or Villingili Ferry Terminal? Thanks! The boat to Dhigurah leaves from Terminal 1 if I’m not 100% wrong. It´s the terminal closest to the local Vegetable market. Just be aware there´s no sign or ticket both so you will have to ask for the correct boat. Hello!! Thank u so much flor the info. Do u know if theres a direct boat from dhigurah to maafushi?? During my visit to Dhigurah was there no boat direct to Maafushi, so you will have to go back to Male and change boat. is the snorkeling from the shore in Dhigurah good? 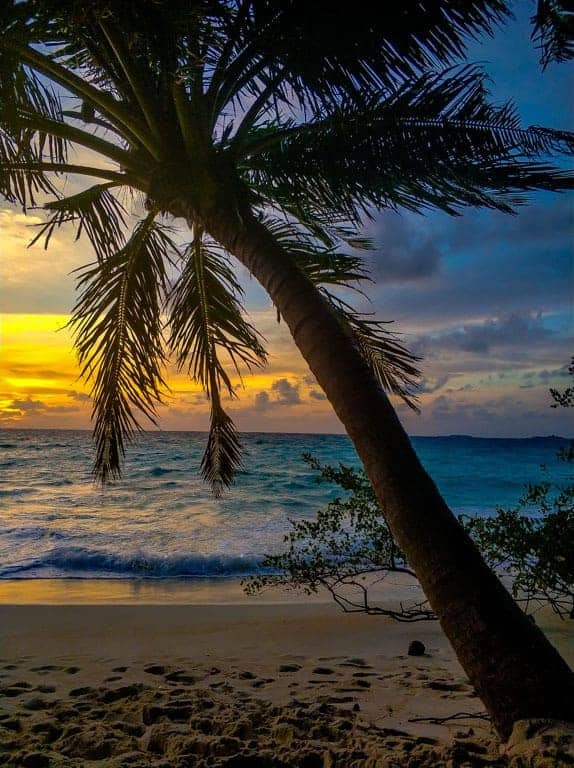 We want to do a diving and snorkeling vacation and it would be important to us that we can snorkel from the beach whenever we want. Or would you recommend another budget island for that? I heard snorkeling in Dhangethi is not supposed to be great (?). In Maamigili there should be a reef, but I dont know if it’s accessible from the beach or a bit far away. It would be a great help if you had some advice! There´s not really any good snorkelling just of shore on Dhihurah. Or that´s not 100% correct, the reef where people go looking for whale sharks is only about 150meters from the shore, BUT there are very often big waves breaking on the top of the reef making it not easy to swim out, and not very safe either. So if you want to do some easy snorkelling so would I recommend another island in the Maldives.